As new RA Sport 30" Sporter, Italian made over and under with 3" chambers, single selective mechanical trigger, cased in makers ABS case with 3 year warranty. A great value sporter and an ideal first shotgun. New Redolfi EOS Sporting. 30" barrel, steel proofed with 3" chambers a grade value Italian made all rounder. New Redolfi EOS Sporting with fully adjustable stock. 30" barrel, steel proofed with 3" chambers a grade value Italian made all rounder. New Redolfi EOS Steel a great value Italian made over and under, 30" barrels, 3" steel proofed chambers and multi chokes. Single selective trigger. 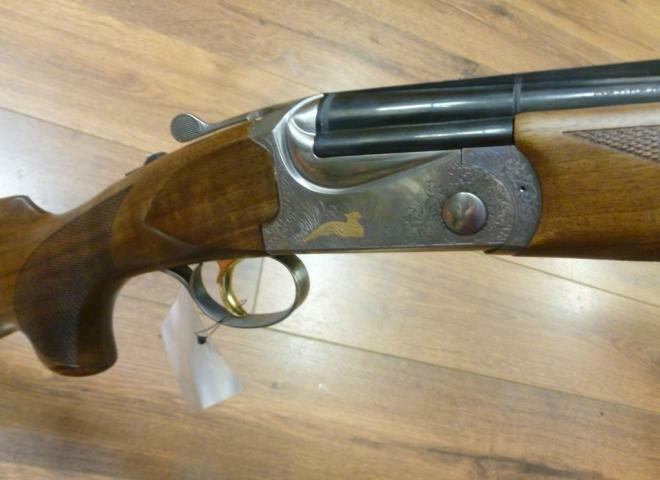 New Redolfi EOS Steel a great value Italian made game gun with 3" chambers 30" barrel and multi chokes. Cased in makers ABS case. As new Redolfi EOS Field 20 gauge over and under with 3" steel proofed chambers five multi chokes, cased in makers plastic. RA EOS Wildfowler in Realtree Max 5 Camo, 3 1/2" magnum steel proofed, cased with five internal chokes. 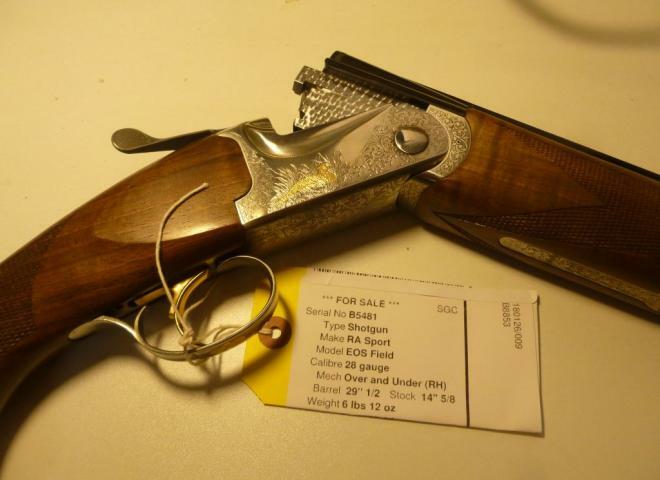 Single trigger ejector with a pretty appearance and good looking wood. New Redolfi Wildfowler, Great value Italian made over and under with Max 5 Camo coating, 3 1/2" magnum steel proofed chambers, Five internal multi chokes. All presented in a manufacturers ABS case with a three year manufacturers warranty. New Redolfi EOS Steel, a great value Italian made game gun with 6mm rib, five internal multi chokes, 3" steel proofed chambers, three year manufacturers warranty, all finished in makers ABS case. New EOS One 30" over and under with five internal multi chokes, 3" steel proofed chambers and case hardened action. All presented in a makers plastic ABS case with 3 year manufacturers warranty. New Redolfi side by side Wildfowler, with 3 1/2" chambers, 28" steel proofed barrels, single trigger, non ejector. New Redolfi side by side Wildfowler, with 3 1/2" chambers, steel proofed, single trigger non ejector. With makers plastic case. New Redolfi side by side Wildfowler, with 3 1/2"
New Redolfi EOS Steel 20 gauge steel proofed over and under with 3" steel proofed chambers, five multi choke and makers ABS case. New Redolfi EOS ONE Steel 30" Sporter, Italian made over and under with 3" chambers, single selective mechanical trigger, cased in makers ABS case with 3 year warranty. NEW Redolfi 410 gauge over and under. 28" barrels, 3" steel proofed, multi choke Italian made single selective trigger. New Redolfi 28" Sporting Adjustable, Italian made over and under with 3" chambers, single selective mechanical trigger, cased in makers ABS case with 3 year warranty. 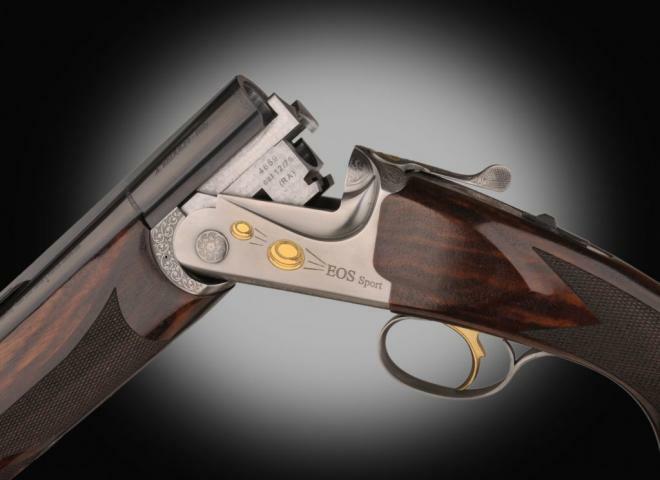 A great value sporter and an ideal first shotgun. New Redolfi EOS Field 28 gauge, 3" chambers and 29 1/2" barrels with five internal multi chokes. All cased in makers ABS plastic case. New Redolfi EOS Sporting. Cased in makers ABS case with five chokes. New Redolfi EOS Sporting with fully adjustable stock. Cased in makers ABS case with five chokes. New Redolfi EOS Wildfowler in Realtree Max 5 Camo, 3 1/2" magnum steel proofed, cased with five internal chokes. New RA Sport EOS Field 20 gauge over and under with 3" steel proofed chambers five multi chokes, cased in makers plastic. New Redolfi EOS Field 20 gauge over and under with 3" steel proofed chambers five multi chokes, cased in makers plastic.